Loudoun County, Virginia, is one of the most affluent counties in the country. As the population continues to grow, so does the demand for amenities. 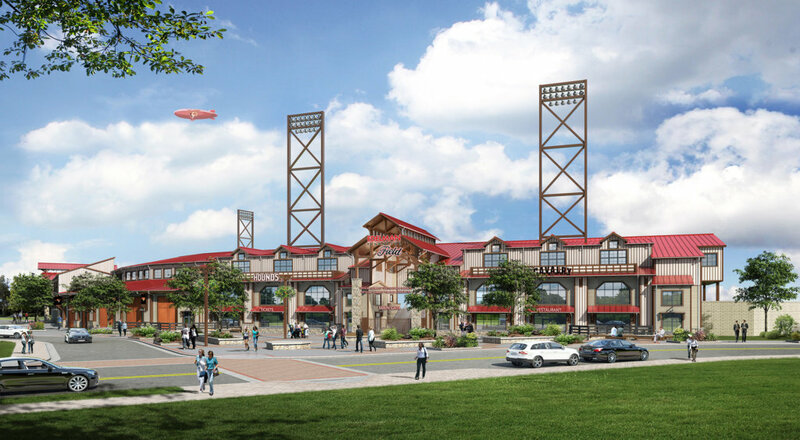 The new Loudoun Ballpark addresses the need for fun family entertainment within the area. 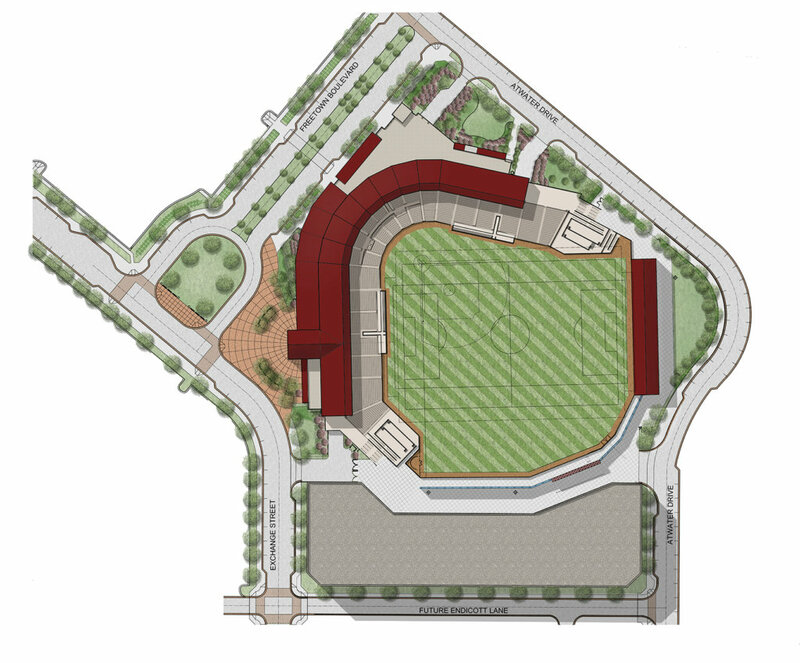 The Loudoun Ballpark is a new 7,000 seat multi-use minor league ballpark, designed for baseball and soccer. The main entrance abuts a welcoming public plaza prominently situated within the new One Loudoun development. The stadium is full of amenities; however unique to this Ballpark is Hounds Way, a 360° concourse experience. This also includes “The Dog”, a multi-level open air structure positioned in left field to further the festive atmosphere on game day. Copyright © 2019 Clarke Caton Hintz. All Rights Reserved.